We are offering this product as Freeware. You may download and use SVCO Extension for Oracle SQL Developer free of charge but not study, modify or redistribute it. Start Oracle SQL Developer then select menu Help -> Check for updates. If the Welcome dialog appears, click Next, the Source dialog appears. 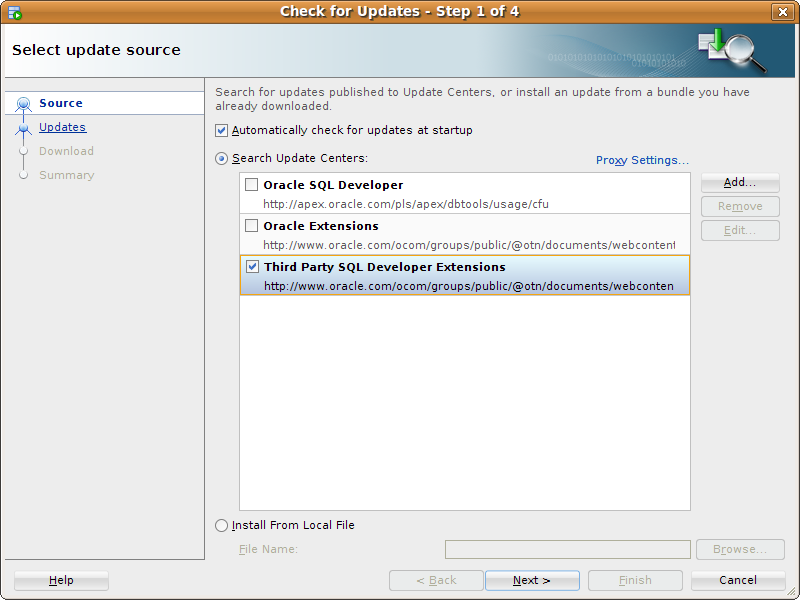 Select "Third Party SQL Developer Extensions" Update Center and click Next. 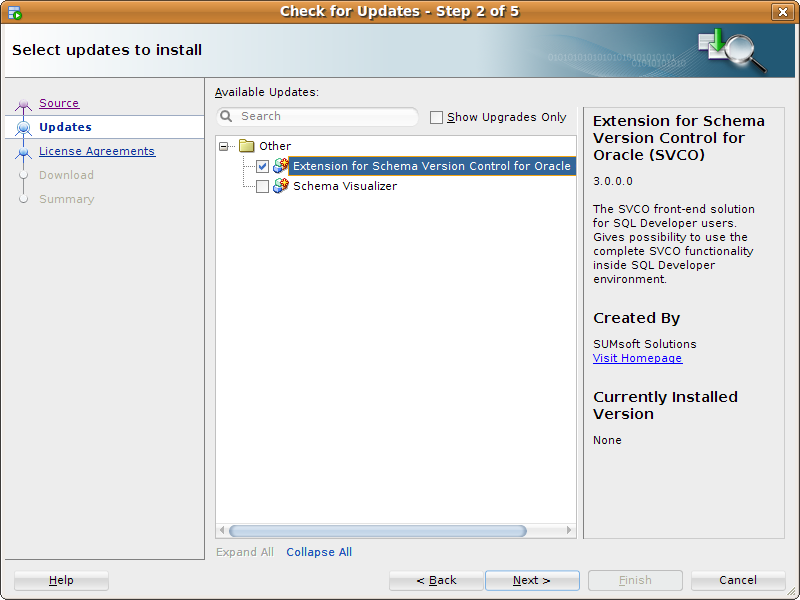 Select "Extension for Schema Version Control for Oracle (SVCO)" and click Next. Follow the instructions on the screen, at the end click Yes to restart SQL Developer. Read the Tutorial for further assistance. Download SVCO Extension for Oracle SQL Developer. Start Oracle SQL Developer then select Help -> Check for updates. Click Install From Local File and choose the File Name you have downloaded earlier. Click Next and follow the instructions on the screen, at the end click Yes to restart SQL Developer. Copyright © 2007-2019 SUMsoft Solutions | All rights reserved.